An excellent way to improve the way your community knows about your app is through Application URL QR codes. These codes are great for marketing and advertising, especially when your product is online like an app that you want your customers to download. 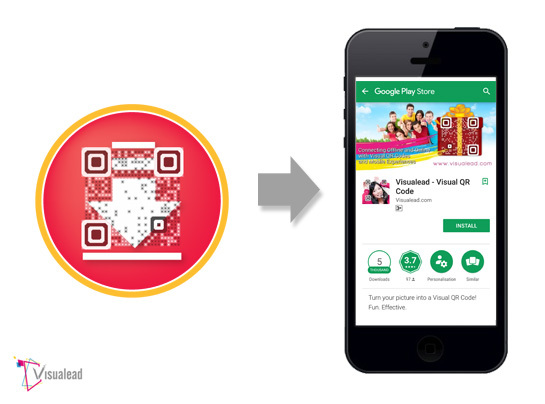 App QR codes are one of the most popular QR codes because they redirect customers to your app in the App store once your QR code is scanned. 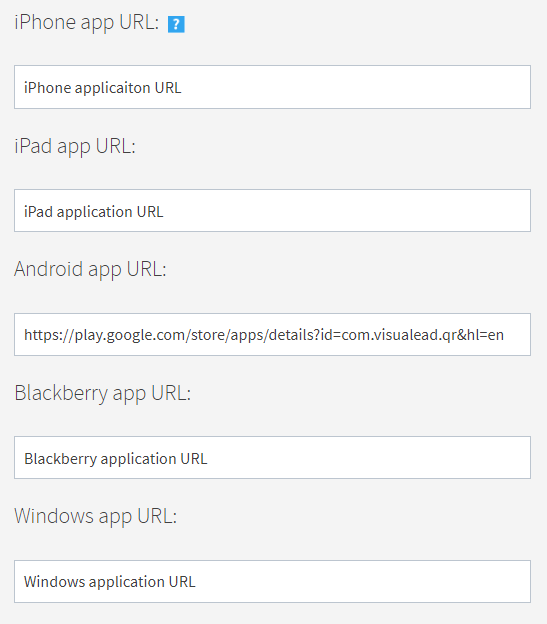 Enter the specific application URLs that are appropriate for each phone type (iTunes, Blackberry, Android and Windows) in the four destination boxes that appear in the fields, and Visualead will redirect all scanners -- according to their specific type of phone -- to the particular application in the app store.